Edible centerpieces? Why not! 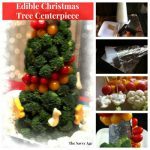 I have enjoyed a few edible fruit arrangements and loved the idea of an edible Christmas Tree Centerpiece. This combines a little Christmas DIY with food decoration your guests will love. A great conversation starter and enjoy as your guests decide which edible ornament they should eat first! 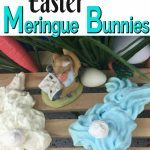 This non floral centerpiece can be made anytime of the year and is especially affordable if you have a garden ready to donate the vegetable decorations. 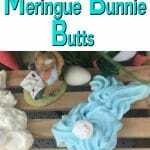 A little patience and prep work makes this an easy Christmas DIY. TIP! 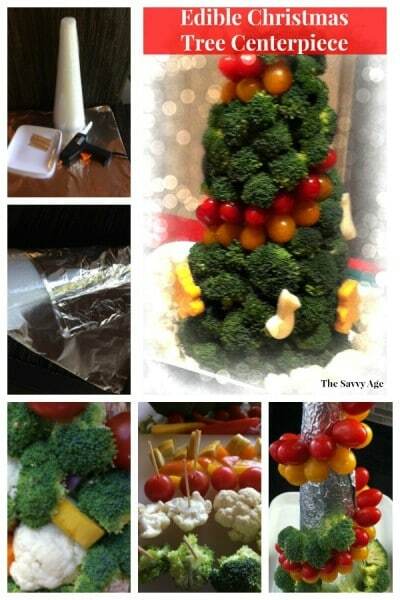 Broccoli is h-e-a-v-y when used as for the Vegetable Christmas Tree Centerpiece. So attaching the foam cone to a disposable plate is a must for stability. Or if you desire you can use a regular plate, but beware for disassembly as the plate may not be saved. I use a solid plastic plate from the dollar store. For the Christmas Tree Centerpiece shaped as a tree I used broccoli for the tree, but mix and match your vegetables as your imagination and food preferences dictate. Wrap foam cone in foil. Attach foil cone to plate with a glue gun. Wash and break apart broccoli florets. Insert a toothpick into bottom of each floret and begin to arrange the florets on the tree. Wash cauliflower, break apart into florets and if using on tree, insert toothpicks. If using as snow around the tree then no toothpicks are needed. Wash tomatoes and insert the 1/2 toothpick into bottom of tomatoes then arrange on tree. If you assemble all the vegetables in the beginning with toothpicks, the process goes much more quickly. After completion of the vegetables, use your cookie cutters to make the tree topper star and the ornaments if desired. A firm cheese works best. I had the deli cut the mozzarella and yellow cheese into very thick slices; size relative to the thickness of your cookie cutter. The old school metal cookie cutters work the best. Use Your Imagination To Design This Food Decoration! Anything goes for which vegetables are used to make the tree. I kept it simple this time as the centerpiece is a Christmas tree theme. I used the basics for a simple minimalist vegetable tree. 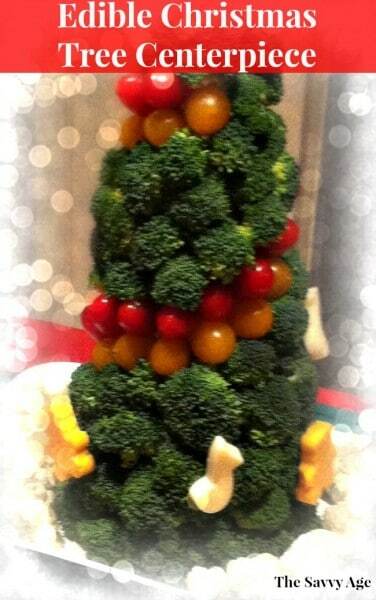 The broccoli was the tree, the tomatoes were the garland, cheese ornaments and sprinkled cauliflower around the tree as snow. As with any new DIY the first time does take quite a bit longer and this project does take a bit of labor and patience; however, your pre guest assembly labor is rewarded with a fun edible vegetable centerpiece and you are free to enjoy the guests. This is a great conversation starter for any party and bonus for the the centerpiece being edible. 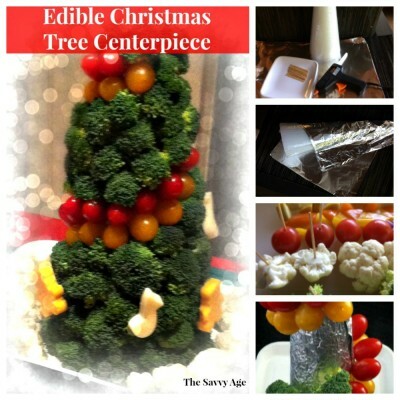 This edible Christmas Tree is quite the holiday conversation starter and appetizer! Guests love choosing their own vegetables from the centerpiece as they gather around the tree. After completion of the vegetables, use your cookie cutters to make the tree topper star and the ornaments from cheese if desired. As you know vegetables can be heavy so use good quality toothpicks. Many dollar stores carry foam floral cones and this tree can be made in any size so a six inch foam cone works great for a mini tree or a forest of mini trees. A six inch cone takes two bunches of fresh broccoli to make the "tree." Any vegetable with a firm texture and skin can be made into ornaments for the tree. Different color peppers work well if cut into small triangles to sprinkle on the tree. Cauliflower broken into different size florets can surround the bottom of the tree as if surrounded by snow. That is adorable and totally something I could make myself! I love this idea (and tutorial) thank you! Pinned. That is a perfectly adorable tree! Also the best use for broccoli. 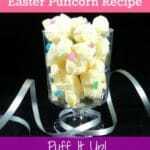 I want to make one now (even though I don’t eat the stuff).